Starting this final section is exciting not just because we are so close to the end, but because I wasn't sure whether or not this part of the trail would be open for us to hike. 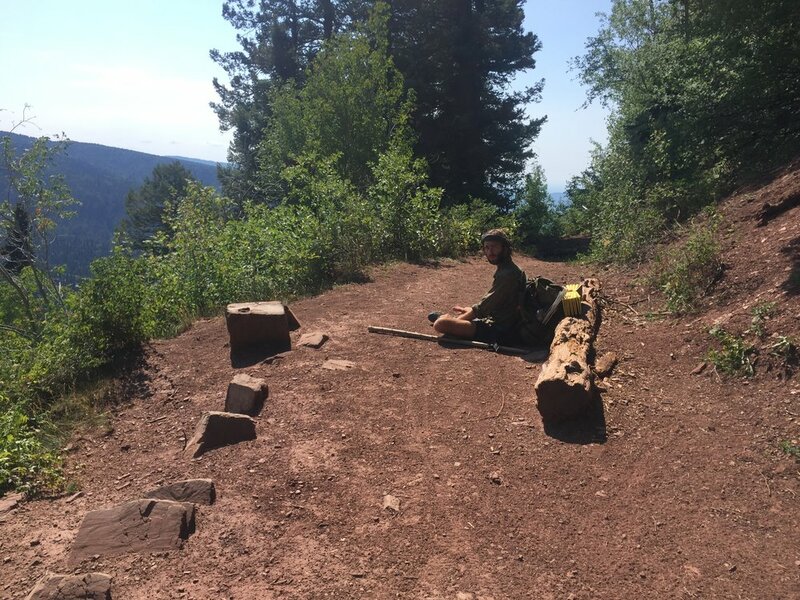 The 416 Fire in Durango had segments 26-28 of the Colorado Trail closed until just a couple weeks ago. 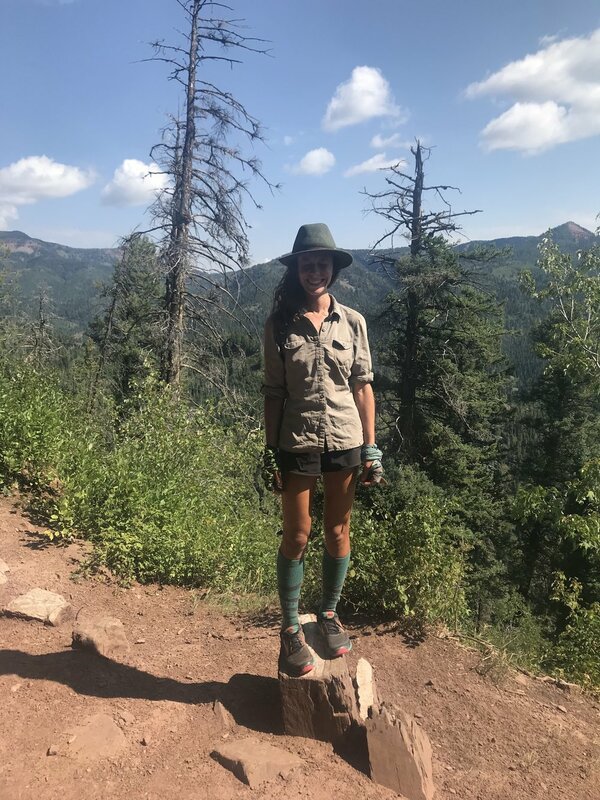 Feeling grateful we set off and continued to hike through the scenic San Juan Mountains. The valleys and mountainsides were full of life with colorful wildflowers and cascading waterfalls. We passed by a creek over flowing the mountainside with water as clear as glass. As to be expected, storms rolled in by early afternoon. The day quickly became rainy with the constant threat of thunder in the distance. Despite the gloom we kept a good attitude and had a strong day. We ran into Brady (a hiker we met on day one) on our way toward Blackhawk Pass. We were all excited to meet again in the last leg of the journey. By the evening the sun started to peek its way through the clouds. We entered Segment 27 (the second to last segment) and hiked several miles along a ridge with grand views on either side. We settled on a ridge top campsite after hiking 27 miles and sat outside eating dinner and enjoying the sunset on our second to last night camping. Today we continued along the ridge and hiked with the warmth of the sun. This was a dry section of trail, but we were prepared and made sure to get enough water the night before. By mid afternoon we reached a summit that provided 360 degree views of the San Juans. We caught up with other hikers; Ren, Pete, and Burning Calves, and then continued on our way to Kennebec Pass. Kennebec Pass was our last mountain pass of trail. We engaged in the ceremonious whiskey-at-the-pass at the top to celebrate and then headed down for a long descent. As we descended into tree line the forest became lush and alive. Flowers and grasses grew as tall as my head and lined the trail along with pine trees, red slickrock, and the cascading water of Junction Creek. As Cosmo and I neared a creek crossing we spotted the perfect camp spot beside it. We decided to set up a little earlier than normal and celebrate our last night on trail. The fire ban has been lifted so we were able to have our first (and last) campfire of trail. We ate dinner beside the fire, roasted marshmallows, and once more said cheers with our whiskey to celebrate our soon to be accomplishment. The severe drought in Colorado has resulted in a Stage 2 fire ban (which means, amongst other things, no campfires) for all wilderness areas during our thru-hike. Recently, the fire ban has been lifted so we were able to have our first (and last) campfire of trail. We ate dinner beside the fire, roasted marshmallows, and once more said cheers with our whiskey to celebrate our soon-to-be accomplishment. Condensation covered the ground and I woke up to a drop of water falling through the rainfly and onto my face. Time to pack up and go. I kept my headphones away today and did my best to be present and savor this last leg of the journey. I picked fresh raspberries growing along the trail. I settled into the steady rhythm and sound of the sticks and leaves crunching under my feet. And I gazed up at the aspen leaves as they swiftly swayed and waved in the sunlight. 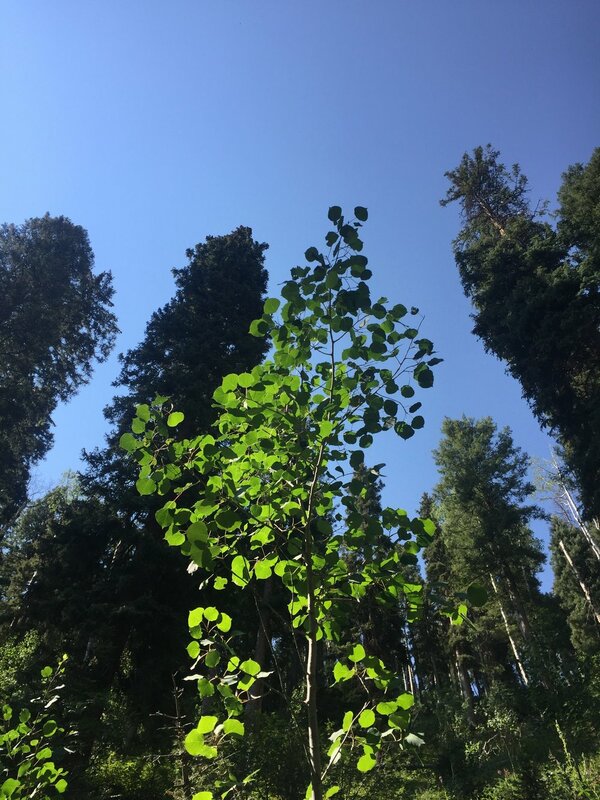 I imagined that the aspens were quietly clapping in celebration with me. Blue skies, warm sun, and caffeine propelled me as I climbed one more mountain. I found Cosmo waiting for me at the top of the last climb. As is tradition, we each took a swig of Jim Beam and then continued down our final descent. A few miles from the end we took a break at Gudy's Rest, named for the "Mother of the Colorado Trail," Gudy Gaskill. Showing off our hiker legs! And, finally we reached the southern terminus of the Colorado Trail. A rain and hail storm quickly ended our conversation. The kids took off to seek shelter with their camp counselors and Cosmo and I took our terminus photos. It wasn’t hard to get a hitch into town and once we were there we enjoyed a celebratory beer, compliments of Carvers Brewery. We then picked up our cars and headed out on highway 550 for our road trip out west.